BMW began its life in aero-engineering--as anyone who’s ever ridden one of its motorcycles might guess. These are bikes as close to airborne as any get. And what’s more, fifty percent of all the motorcycles BMW has manufactured are still flying down the world’s roads. 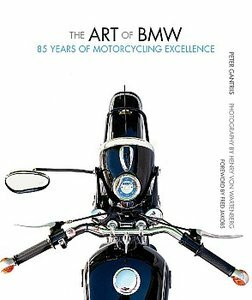 These are the best, and in this book, the best of the best get their due, with brilliant, full-color photographs of BMW’s classic models and detailed descriptions of their features, all located within the context of a concise history of this legendary marque. From the first of BMW’s bikes, the R32, through the models that catapulted the company out of the ruins of World War II, to the latest bikes with the revamped opposed-twin-cylinder “boxer” engines that brought BMW its first fame--these are the bikes that made history, and, better yet, gave the most demanding riders a taste for flight.